If you have been injured due to the negligence of another and want to attempt to seek compensation to cover medical expenses, legal bills, pain and suffering, lost wages or related expenditures, our qualified personal injury attorney can assist you through the legal process. Many personal injuries can wreak havoc on your life, both professionally and personally. Going up against major insurance companies or health care organizations can prove intimidating, but having a qualified, experienced personal injury lawyer fighting on your side levels the playing field. 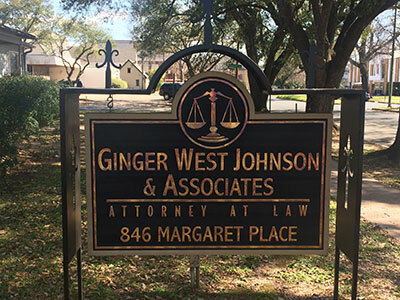 If you’ve suffered a brain injury, a slip-and-fall injury or any number of other personal injuries, or if you need to enlist a trusted and dependable family lawyer or require divorce mediation, contact the Law Offices of Ginger West Johnson at 318-734-9905 today. We proudly serve clients throughout greater Shreveport, including Bossier City, Minden, Mansfield, Homer, Haynesville and Coushatta.